Many experienced designers and developers who have created dozens or even hundreds of cool, well-thought-out apps during their careers find themselves knocked out by the need to create an app for children. The main question that confounds these experts is “what do children need?” You may think that there’s nothing confusing about this – just remember yourself when you were younger, think like a child, and remember the games that you played. But in fact, this advice doesn’t work. Today’s children are on first-name terms with technology from birth; they learn about the world through technological means and through other games. According to recent research, more than a third of children under the age of one use mobile devices in some way. Millennials hardly can boast of having had such a technologically advanced infancy. Let’s set the record straight on how to make a great kids’ app who are growing up with a smartphone instead of a binky. What factors do you need to consider and how can you ethically and effectively monetize a children’s app and access the $2.2 billion kids app market. Who are the decision-makers, or whom should your app target? One of the biggest traps for creators of children’s apps is finding the target audience. Who will decide whether to install the app – the parent or the child? Most developers mistakenly go all out on attracting one of these groups and lose sight of their target audience as a result. How can you avoid this trap? There are a couple of myths related to the use of mobile devices by children. The first is that very young children under the age of four can’t control a device and use innovative apps. 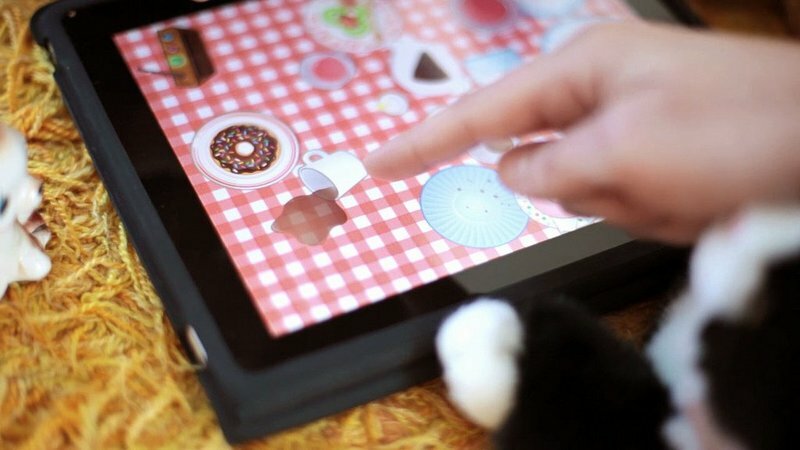 But we already know that this is a myth – children are learning to interact with touchscreens from the age of six months. Such little ones can only push buttons with no real goal but 15 percent of children under two years of age use simple applications quite consciously. The second myth is that parents of preschool children don’t allow their children to play with mobile devices. This myth exists because pediatricians recommend that children under three years not use electronic devices at all and that older children use devices for no more than two hours a day. In spite of this recommendation, however, 56 percent of parents believe that games and educational applications help their children develop. Moreover, they believe that mobile devices should be used as part of educational programs in classrooms. Children develop faster than adults. A meaningful age gap for adults is usually 10 to 15 years or even more. You can forget such broad gradations for children, and should avoid dividing your target audience simply between children of school age and preschool age. For children’s apps, you should focus on age ranges of two years maximum. Tailor the level of complexity and methods of interaction with your app for children of a certain age group. This will allow you to correctly identify your niche and effectively target your product. For example, for children under two years, parents usually install streaming applications like YouTube Kids. 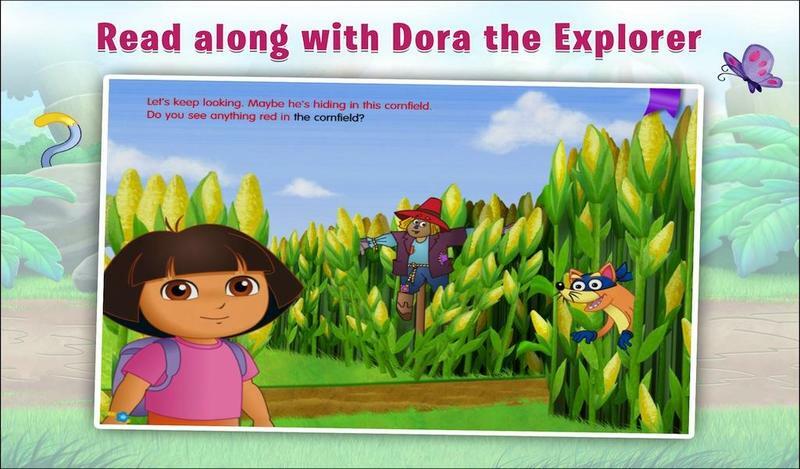 For older children, more interactive apps are suitable – for example, Dora the Explorer, where a child can play short games and perform simple tasks. Create an app for kids, but keep their parents in mind. You should consider how your app will look on the chosen market – what description you’ll write and what screenshots and icon you’ll add. According to recent studies, it’s parents who decide to install apps for children under seven. Thus, your descriptions and screenshots should give information about your app’s developmental value, safety, and quality. When it comes to children older than seven, most often they choose products themselves. In this case, you can let your inner child out and create more creative and fun descriptions with bright screenshots. According to Debra Gelman, author of “Design for Kids: Digital Products for Playing and Learning,” there are a number of differences between building apps for kids and adults. So forget everything that you already know and let’s build a strategy from scratch. We often write that design is an essential component of any app. But when it comes to kids apps, design takes an even more important position. A good mobile UX is a must for a children’s app. It’s more difficult for children to interact with the world. And whereas an adult may sometimes forgive you a hidden button, a child will send your application to the land of beautiful but unloved toys. Everything in your application must be clear and be of high usability. Another important component is bright colors and exciting animations. Get inspired by the favorite characters of children in your chosen age group as well as by their favorite movies and cartoons and you’ll definitely have little users falling in love with your product. 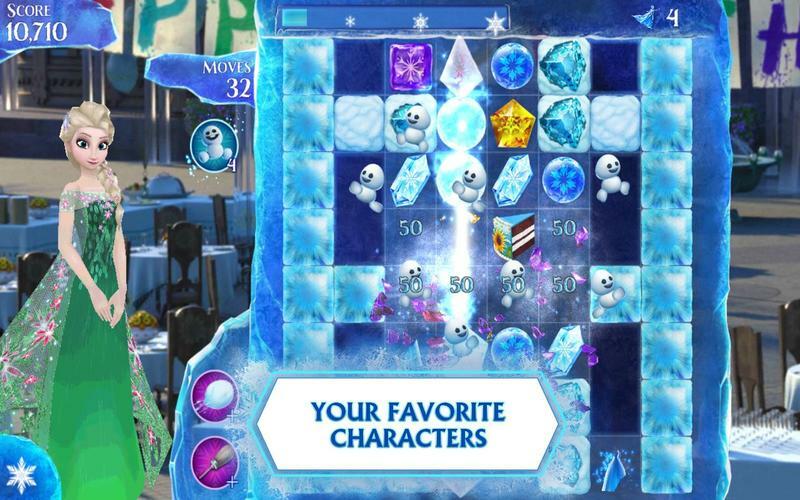 Disney, for example, has created a number of apps based on their cartoons graphic design ideas. A little design tip: don’t place interactive elements at the bottom of the screen. Children often tap there accidentally. Let kids play and compete with other kids. Try to fit all educational elements into games. The most important thing to remember is that all goals and tasks should be clearly defined and explained. For older children, you can add social network integration to encourage competition. Make your app adaptive. Children develop their skills at different paces, so you’ll need to add different levels of complexity so that kids of any skill level can comfortably use your application. Add onboarding and tutorials. You should explain to children how to use your app, what its purpose is and what they’ll receive as a reward. Pay special attention to tutorials. Make it fun and friendly. Remember that children like learning about the world through games. Your app should be fun. Don’t forget about this when creating challenges, buttons, animations, and business logic. Additionally, create a friendly environment. Don’t give negative feedback if a task isn’t done correctly. Instead, provide encouraging messages and sounds to cheer kids up. Let children make mistakes the way Word Wizard does. In Word Wizard, a child collects words from letters and then hears the resulting word read back to them. If they choose a random set of letters, the app doesn’t give them a loud alert sound or a huge red X. Instead, the child understands that they’ve made a mistake when the app reads the word out loud. 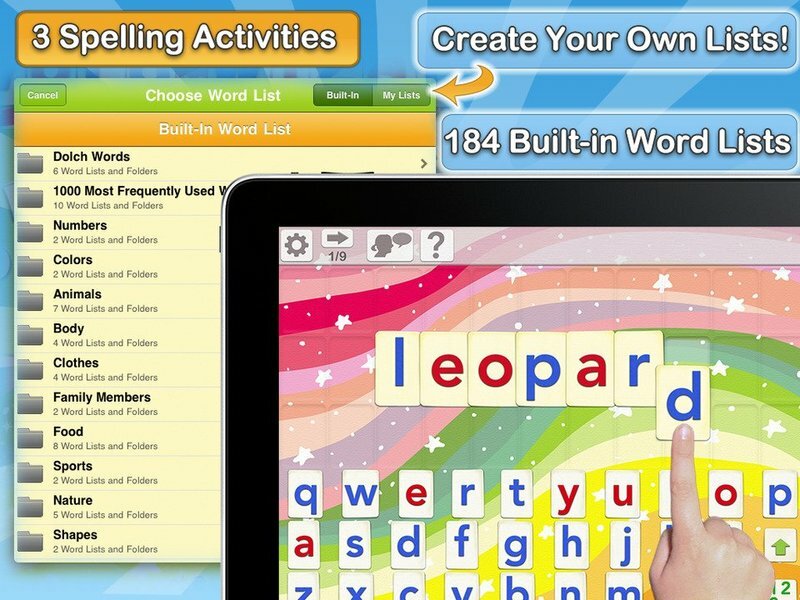 The creators of Word Wizard believe that making errors helps children learn faster. Think about interactivity. Add more interactive elements to your app to make it even more interesting for little users. For example, Endless Alphabet uses 3D touch as an interactive element. Depending on touch strength, letters respond differently. Also, consider adding sounds to your app. You can even implement a voice assistant or create a product for Alexa or Google Home. In August 2017, Amazon unveiled new Alexa skills aimed at children as well as new apps for the Alexa platform including stunning The SpongeBob Challenge. At the same time, they presented a program for the protection of children’s data – COPPA (Children’s Online Privacy Protection Act) – which doesn’t allow companies to collect data from children under the age of 13 without parental permission. To organize the development process for your children’s app properly, you need to keep a number of peculiarities in mind. The first thing you need to keep in mind is the difference between how children and adults interact with apps. Adults often forget how it is to be a kid. Moreover, the difference in technologies available to different generations during childhood makes it difficult for us modern-day app developers to quickly sketch out the business logic of a children’s app based on our own memories and experiences. Adults want to reach the final goal. Challenges along the way are just the means of achieving the final goal. Children enjoy the process and are fully involved in every task. According to Debra Gelman, when you’re designing for adults – even when you’re designing games for adults – your goal should be to help them cross the finish line. But when you’re designing apps for children, the finish line is just a small part of the story. Adults see achieving the final goal as a satisfying reward in and of itself. After performing each halfway task, children want to get a reward. In games, this can be coins, stars, or energy. After you’ve defined the difference in the perception of children and adults, it’s time to move on to the next step – observing children. what makes them happy and what makes them upset. After you’ve noted basic patterns of behavior and worldviews, answer a few questions that will help you decide on the type of gamification for your app. 1. Do children of this age group play games with predetermined rules or do they invent their own rules? Children of primary school age, for example, tend to invent their own games. When creating gamification for such kids, let them break the rules and do things that couldn’t take place in the real world. 2. Is there a difference between games that girls and boys play at this age? The answer to this question will help you choose the color palette for your app, which characters to use, and what type of gamification you need. 3. What gestures are children of this age able to use? Young children are still in the process of developing their motor skills. Some designers recommend not to use swiping and zooming in apps for children younger than 3 to 4 years old. Instead, focus on using taps on buttons and simple interactions. After you’ve finished researching kids’ behavior and already know what your product will look like, you should think over your monetization strategy. Monetizing a kids app is quite tricky. A lot of resources suggest ethical contradictions with monetizing children’s apps, but we’re going to get right to the point and talk pragmatically: What is the most effective method of monetization for kids apps? 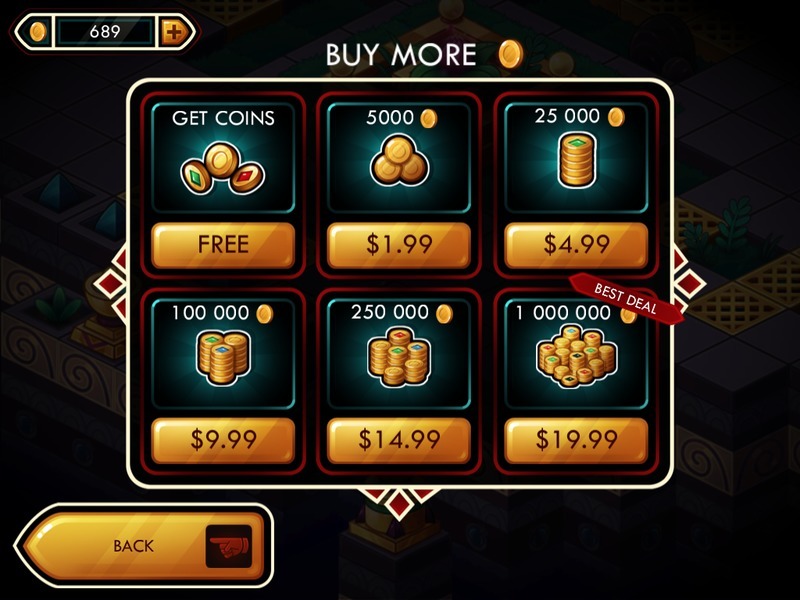 Let’s start with the most inefficient method of monetization for kids apps – in-app purchases. Selling something to children through an app is a bad idea, since children aren’t the decision-makers. The most likely result is that parents who find charges on their accounts will just uninstall your app. Most children’s apps, including KidsECook and Language learning app by Tribal Nova, choose either a paid or subscription monetization model. This way you leave the decision to parents and avoid unintended purchases. A lot of developers are afraid to create children’s applications because, at first glance, the process looks like creating an app for aliens. But if you choose the right approach and take into account all the above-mentioned points, the task becomes much easier. If you have an idea for a children’s application, don’t hesitate to bring it to life with Yalantis – we know how to develop and design amazing apps for kids.